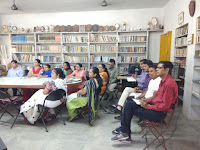 Staff had PDP Session with Chairman, Mr. Sandeep Dutt on 6th & 7th October. 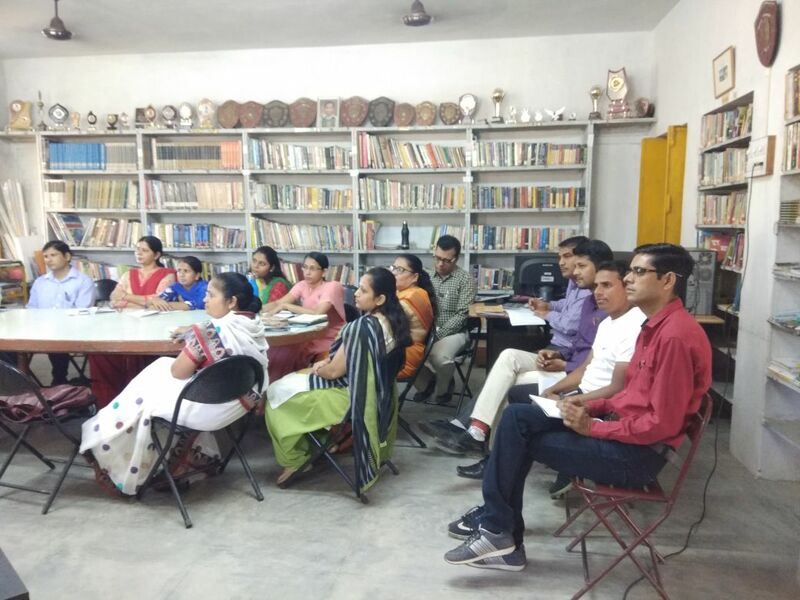 On the first day they had a Skype talk with Ms. Devyani Dutt who is helping the school to make presentation on The Fabindia School Case Study-Schools can Change for the Orlando Retreat in December. The presentation was shown to the staff and they were asked to give their comments or suggestions to make the final presentation. -All learners to be involved in activities. 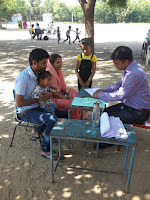 -Connect, identify and understand the child and find a way to of his problem. -Extra attention to be paid on slow learners. -Set up action teams to overcome challenges. Educators should take everything possible so that learning is ensured. In the second session presentations of each group were presented on the topics: Humility, Beating the odds, It is never too late, Handling Pressure, Courage & Making Mistakes, Accepting Flaws. Goal: Every student must have a goal that he or she is only preparing for that only. Time Management: Every student must manage a regular time for any work and he or she must do it on time. Their all work should be done in time. Hard Work: Every student must do hard work to achieve his or her goal. Create conducive environment: A child should create conducive environment to remain calm and concentrate in studies. RRE: I joined the school on 4th August 2005. RRE: Mr. Jayant Biswas was the Principal at that time. ED: What type if environment was there? RRE: The environment was very good and helpful. RRE: I taught Class Nursery, Intro and Prep at first. RRE: My qualification is M.A.Bed. and NTT. RRE: No, I have not in any school before Fabindia. RRE: I would like to give the message that students should work hard to achieve their goal in life. 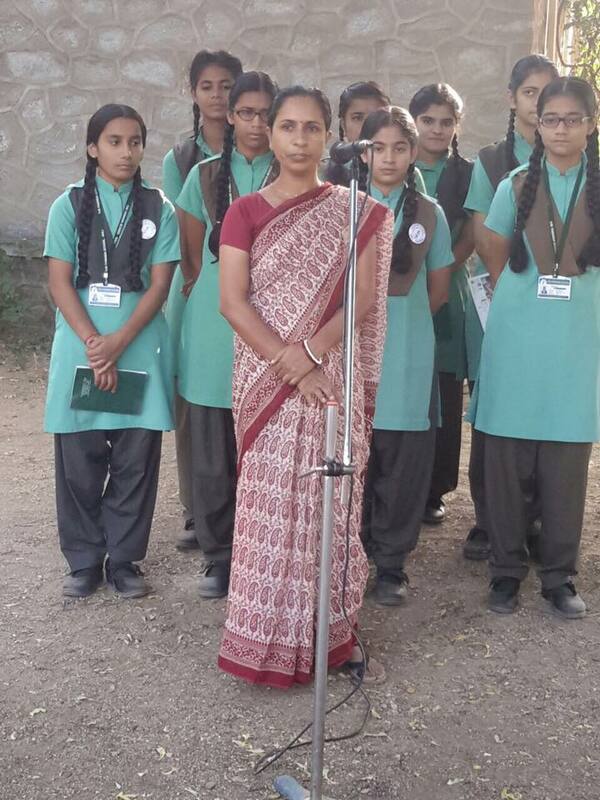 Monday, 2nd October: On the occasion of Gandhi Jayanti a special assembly was organized. 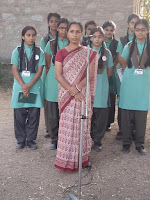 Principal Rajeshree Shihag spoke on the importance and why is the day celebrated as Gandhi Jayanti, Ms. Kusum Sharma asked some questions related to Gandhiji. 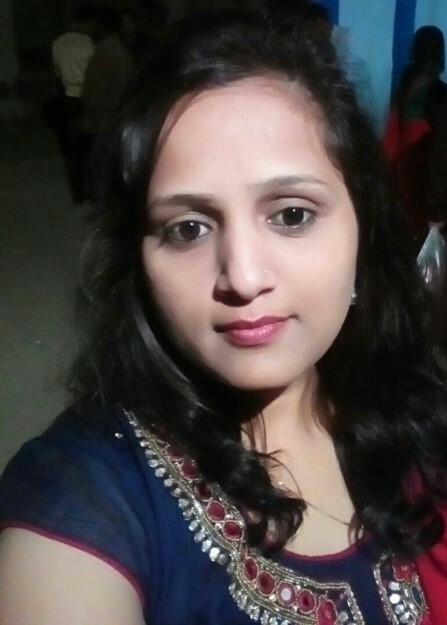 Kreena Rao/ Ix/ DH spoke on Gandhi ji and Diksha Choudhary/ IX/ GH spoke on Lal Bahadur Shastri. 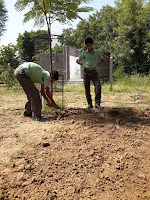 Cleanliness drive was organized for Classes II to X. Students were told about the importance and habit of living in a clean green environment. They cleaned their school campus. Class XI Sci.Bio students are doing organic farming behind Science Block. They started the farming in the month of August. First few days they had worked on cleaning the field and ploughing it. They had put some manure in the field. Then they levelled the field by using some farming instruments. After that they divided the area for different vegetables. Then they put some tomato plants in the left side of the field, within two days they watered and took care of the plants from grazing cattle. Till now they have put some onion seeds, peas and pulses seeds in the middle of the field. Now, their next plan is to grow flowers in the field for decoration. 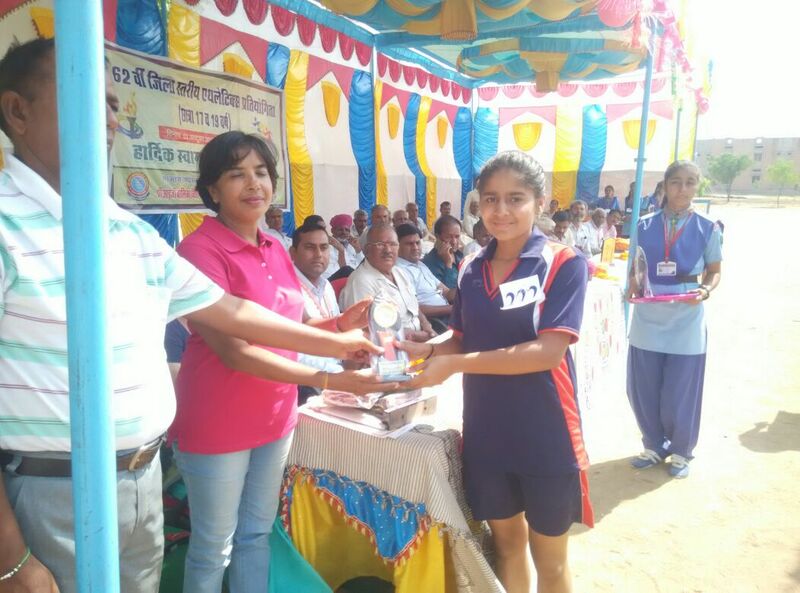 Bhumika Rajpurohit/ Class III was selected as the Student This Week for being the youngest selected player in "Under 17 Football Tournament , held at Heritage Girl's School Udaipur. Tuesday, 3rd October: Tattoo making activity was organized during Art and Craft lesson. 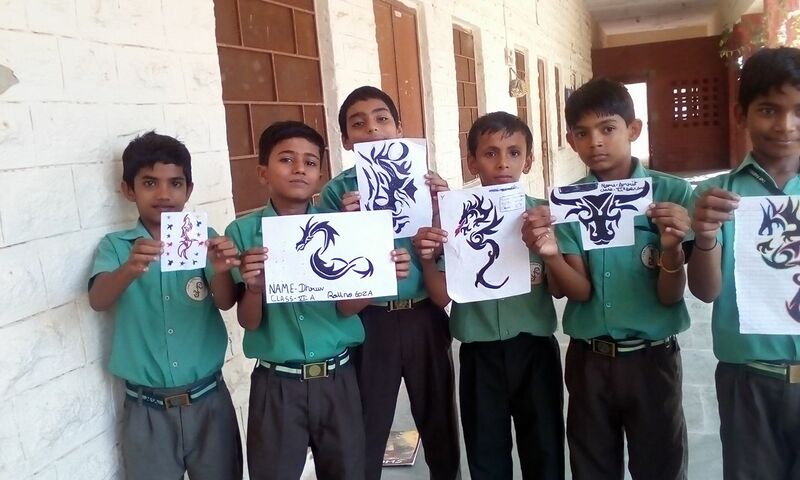 Students of Classes VI-XII showed their creativity by making beautiful tattoos. Red Colour Day was celebrated by the Pre-Primary Section. They enjoyed the day by having a creative Birthday Party. They were dressed in red colour and brought red colour fruits in their lunch boxes. 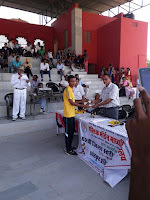 Tuesday, 3rd October: A team of young athletes escorted by Mr. Tarun Mishra & Mr. Vineet Kumar participated in the 62nd District Level Athletic Meet held at Jawali and Pali. Bhumika Nagar/ XII reached finals and bagged a silver medal in both 100m. and 200m. 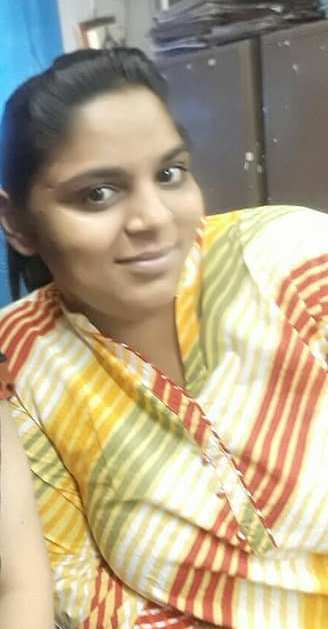 She is selected for State Level. Lalkar Singh Ranawat/ XI Sc. bagged a silver medal in 400 M Hurdles andhe too is selected for State Level. Congratulations to both of them. Saturday, 7th October: Result of Half Yearly Examination was announced that day. 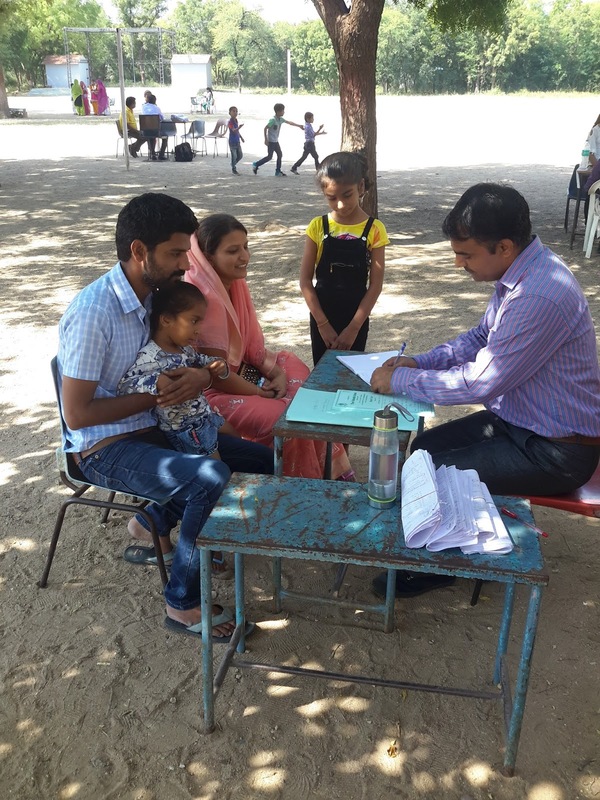 PTM (Parent Teacher Meeting) was organized for Nursery to XII. 100% Parents were entertained in the meeting. Majority of them were satisfied with their ward’s performance.